Several years ago I was at an amazing used bookstore in downtown Halifax when I stumbled on a small work of philosophy written by David Hume. About the only thing I knew about Hume was that everybody quoted him all of the time, both Christians and non-Christian scientists, sometimes positively and sometimes not. Whoever he was, he seemed to be pretty important. A character on Lost was even named after him, so I knew it had to be pretty serious. It was somewhat of a shock, then, to discover that he wrote what he did in the mid-1700s. It took me two or so years, but I finally sat down to read his book, and I more devoured it than read it. He wrote, not like a philosopher, but like a kindly grandfather showing the way. His English was surprisingly modern, and his thoughts were even more so. I finished his book in less than a week, and promptly forgot everything he said, only remembering that I liked him. I then leant the book to a good friend of mine, who ended up loving the book so much that it took him over a semester to read. Not because he was bored, but because he was absorbing it. He finally returned the book to me the other day and wanted to discuss it, but to my embarrassment I could barely remember any of Hume’s arguments. Not to be outdone, I decided Hume deserved a second look. But this time I decided to write chapter summaries so that I could better understand, reflect on, and remember his arguments. Thus the next few weeks you will be getting a breakdown on Hume’s philosophical treatise, An Enquiry Concerning Human Understanding, on a chapter-by-chapter basis. 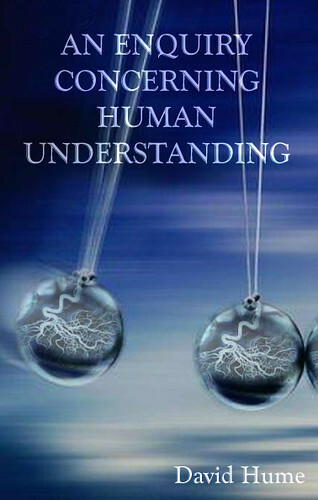 In the opening chapter to this book, Hume begins with a reflection on two distinct approaches to moral philosophy (what he calls the ‘science of human nature’). The first is more a philosophy of common sense. It regards man as being born for action, not philosophical speculation. As such it uses poetic and literary devices to raise within man a love for virtue and a hatred for vice. ‘They make us feel the difference between vice and virtue; they excite and regulate our sentiments; and so they can but bend our hearts to the love of probity and true honor, they think that they have fully attained the end of all their labors.’ By rhapsodizing about the beauty of virtue, the poets cause us to desire virtuous living, and we are compelled to live it. But, alas, such a practical approach to morality leaves many questions unanswered, particularly regarding the source from which these vices and virtues arise. Thus there is a second approach to moral philosophy, one which endeavours to ‘form his understanding more than cultivate his manners.’ Through intellectual speculation philosophers can attempt to derive those ‘original principles, by which, in every science, all human curiosity must be bounded.’ These philosophers ponder morality’s source, and hope that this will lead to moral living. There is a severe problem with this second approach to moral philosophy; namely, it is so abstruse that no commoner can understand it, and therefore it becomes incapable of prompting moral action. The first approach makes better people; the second approach sheds light that only a few can comprehend, and even fewer put in practice. ‘The abstruse philosophy, being founded on a turn of mind, which cannot enter into business and action, vanishes when the philosopher leaves the shade.’ Furthermore, because of its abstruse nature, mistakes are easy to make and difficult to identify, whereas those poets who practice a common sense philosophy can always appeal back to common sense to correct any philosophical wrongs. Finally, the abstruse philosophy, because of its difficulty, can be easily parasitized by superstitious beliefs or the vanity of man, which use high-sounding phrases to support untenable and meaningless dogma and which seek to unveil things that can never be known. We are then left with an impossible predicament. On the one hand, we can be motivated to moral living but be ignorant of its cause, and be despised for our ignorance; on the other hand, we can seek to understand the principles from which morality springs, but this can promote inaction and be difficult if not impossible to correct or prove. ‘The most perfect character is supposed to lie between those extremes.’ But how? But an outright rejection of this second method of moral philosophy will not help us achieve balance. Indeed, if by engaging in purely intellectual endeavours we can catch a glimpse of truth, this should be able to make more perfect the call to moral action, in much the same way as an artist can only perfectly portray the beauty of woman by studying the work of the Anatomists. If we understand the basis for morality, then the poets can better describe morality’s beauties to persuade us to the moral life. But what of the difficulty of such an endeavour? How do we avoid the accusation that such an enquiry will be too difficult for the common man, and will thus have no moral merit? If the philosopher takes care to avoid unnecessary details and speak with the utmost clarity, even difficult propositions should become accessible. If, by good fortune, the true basis for morality is found, how much more worth it is the difficulty, as the two methods of moral philosophy become united. Now that Hume has set out his goal – to explore the workings of the mind with the intention of reconciling the two methods of moral philosophy (practical and intellectual) – he begins by reflecting on an aspect of the mind that should be obvious to all of us. His conclusion is quite simple, really: our sensation of something differs in both force and vivacity to a recollection or anticipation of the sensation. we hear, or see, or feel, or love, or hate, or desire, or will’). 2. Thoughts or ideas – Recollection of an impression (copies of an impression). If I want to think about a polka-dotted fire-breathing giant taco, I can. And just did. If I want to think about unicorns or Gollum or little green men, it is the easiest thing in the world to do. Thought really seems to be unbounded in what it can conceive. But, says Hume, it only seems to be unbounded. In reality, ideas are ‘really confined within very narrow limits.’ What confines our ideas are our impressions. No idea can exist apart from a prior impression. All of the fantastical things that our thoughts can conjure up are, upon inspection, related to things we have already sensed and thus have impressions of. I know what a horse is, and I know what a horn is; to create a unicorn, I need only to put them together. If I had no prior impression of a horse, I may be able to conceive something unicorn-like by imagining a large dog with legs and face and fur altered to some degree. If I had no impression of any living thing, then a unicorn would be very difficult, if not impossible, to think of. All ideas are like this. A blind man can never have the idea of colour; a deaf man can never have the idea of sound; a selfish man will have difficulty conceiving of the heights of friendship. But restore a man’s full senses, and his thoughts will alter to include colour, or sound, or friendship. Once the impression is formed, the ideas can follow. There are four ways in which ideas can be formed: by compounding (adding impressions together), transposing (changing the order, counterchanging), augmenting (increasing by some quantity) and diminishing (decreasing by some quantity). Argues Hume, ‘Those who would assert that this position is not universally true nor without exception, have only one, and that an easy method, of refuting it; by producing that idea, which, in their opinion, is not derived from this source.’ Hume offers one possible exception involving a man who has seen all of the shades of colour except for one shade of blue, and asks if he would be able to think of that missing colour. Hume says he can, and that this is the only trivial exception to his categorization and is not really worth discussing. Perhaps I am missing something here, but it seems to me that by compounding ‘blue’ with ‘darker’ or ‘lighter’, he should be able to think of this shade without refuting Hume. ideas that are copies of impressions. any ideas that may be formed from the impression of that sensation. 1. We can form no idea of God that is not somehow a product of our own impressions. If we conceive of God as good and wise, that can only be possible by reflecting on our own goodness and wisdom, and augmenting it ‘without limits’. 2. We now have sufficient fodder for exposing those difficult philosophies that are false. For if any philosophical phrase cannot be simplified into copies of impressions, then that phrase is in fact not an idea, but is meaningless. In this brief chapter, Hume argues that ideas are not held chaotically by the mind. Rather, there is a principle of connection between ideas, such that groups of ideas are associated with one another or naturally lead from one to another. Even the images in dreams, Hume says, have an underlying order. Furthermore, whatever these principles of connection are, they are universal, being found in all people groups and all languages, no matter how different they may be from one another. All other associations are related to these three. Contrariety (such as darkness leading one to think of light) is simply resemblance plus causation. One argument used by atheists is that the language used to describe God is anthropomorphic. We read about God ‘remembering’ and ‘loving’ and ‘seeing’ and ‘hearing’. But all of these words are based on human experience and cannot really mean the same thing in reference to God as they mean to people. Yet there is no way for us to conceive of God in any other way. We speak of God ‘existing’, but surely we don’t mean that he exists in the same way that you or I exist, and yet we cannot think of any alternative to this form of existing. Hume’s argument provides a means of explanation: because we cannot sense God’s true nature, we can never produce ideas that correspond to it. We can only use our own impressions as analogies for what God must be like. This means that God is necessarily made in the image of man, and that this is not a bad thing. It is the only thing. It does not discredit God, but rather reflects the limitations of man. Religious language is almost entirely based on analogy. We describe justification through the eyes of human law; we describe the relationship of the Trinity by way of the family unit, complete with Father and Son; we identify God with the male ‘He’. It often becomes difficult to disentangle the analogy from reality. Jesus was not really the Son of God, in the same sense that I am the son of Richard Morris, yet sometimes we act as if he were. Hume’s distinction between ideas and impressions reveals why religious language must necessarily be analogous: God could only reveal himself through ideas based on impressions that we already had. We understand the father/son relationship because we have impressions of it; we cannot conceive of the unity of the Trinity, because such unity falls beyond the scope of our impressions. We describe Trinity by ‘sun-light-heat’ or ‘music’ or ‘water-ice-steam’, but these also are analogies. Multiple analogies are needed to describe the same thing, in part because one analogy will only reveal a certain aspect of reality, and in part because some people will have no impression of that analogy. The Father-Son relationship is only meaningful to those who had a good relationship with their father; those from abusive or broken homes cannot develop a complete idea of what this analogy is pointing to, because they lack the necessary impressions. Creationists like to approach the Bible as a scientific or historical document. They believe that God revealed in Scripture scientific truth that is only being verified today. Many Muslims believe the same thing about the Koran. Hume, however, inadvertently gives support to accommodationists, those who believe that God spoke to ancient peoples based on their own understanding. If Hume is right, we should never find real scientific insights in the Bible, because such insights would have been meaningless to ancient peoples. Could you imagine describing quantum physics to a people group often guilty of worshipping stars as living entities? God was limited in what he could reveal; these limitations were based on the impressions of the people he was revealing to. If he had conveyed ideas not based on the ancients’ impressions, then he would have been revealing empty ideas devoid of meaning, and worship can never be centered on emptiness. This leads to further reflection: how much of our understanding of God is based on accommodation? How different is God from the analogies we use to describe Him? I can’t help but feel that Hume introduces a relativity that prevents his theory from being as useful as he had hoped. He argues that, if any idea is not based on impressions, then it is meaningless, and this is how we can reject empty philosophies. Hume also says that the blind man who cannot see colours can never think of colour; the deaf man can never have ideas of sound. What if there are a certain few who have senses that the majority of humans do not have? What if they are the ones to develop philosophies or theologies that actually reveal deeper insights into reality, yet because we commoners lack those impressions we reject their ideas as meaningless? I think especially of mystics like Plotinus, who claimed to have experienced near-unity with God, and whose writings are highly abstract and difficult. Although we who have never had mystical experience could reject Plotinus’ writings as being meaningless to us, we could never reject their truth. What Hume is looking for is truth, yet what he introduces, relativism, is the enemy of ever finding truth. 2. The reliance on language. So far Hume has failed to address the role that language has in forming ideas. A blind man who can suddenly see can have no ideas about colour until he is taught the language of colour. Could not mystics then use analogy, not because they have no impressions of the spiritual realm, but because they lack the language to describe it? How much of God do we have access to? Anselm tells us that God is that of which nothing greater can be thought. But the only meaningful ideas are those based on our impressions. We can add to wisdom and beauty and love and truth infinitely, and that can be a meaningful thought, but we could also think of the greatest flying spaghetti monster ever and add to it all of the same attributes. Anselm would say that we can think of something greater than a flying spaghetti monster, namely, something not limited to the shape of spaghetti, and that this something is God. But doesn’t there come a point at which the greatest thing we can think of is something that we cannot really think of? If we take love and wisdom and such to infinity, can’t we still think of something just a little bit greater, and call that God? What I mean is, something greater than a God that exists is a God that does not exist in the same sense that matter exists. But this God is no longer based on impressions. If Hume is right, then does this not make the idea of God empty and meaningless? I think Hume would argue that it does. Unless we, as spiritual beings, in some sense commune with and thus experience God. So how much of God do we have access to, even if we lack the language to describe it? And how much like God are we? Genesis 1 tells us that we are made in the image of God. What does that mean for our ability to understand God? I am only 22 pages into Hume’s book, and already I am finding a great deal to reflect on for evangelical Christianity. I can only hope that he will address some of my questions later on. Thanks for your work in reviewing this text for us. I do believe Hume's collective thinking leads us down a path of empiricism, skepticism, and utilitarianism. He had a powerful influence on many who followed and so it is worth some analysis with a critical mind. It is interesting to see the development of his thought in one of his earlier writings. I look forward to future instalments.